There are 237 posts in this topic. You are on page 5 of 5. 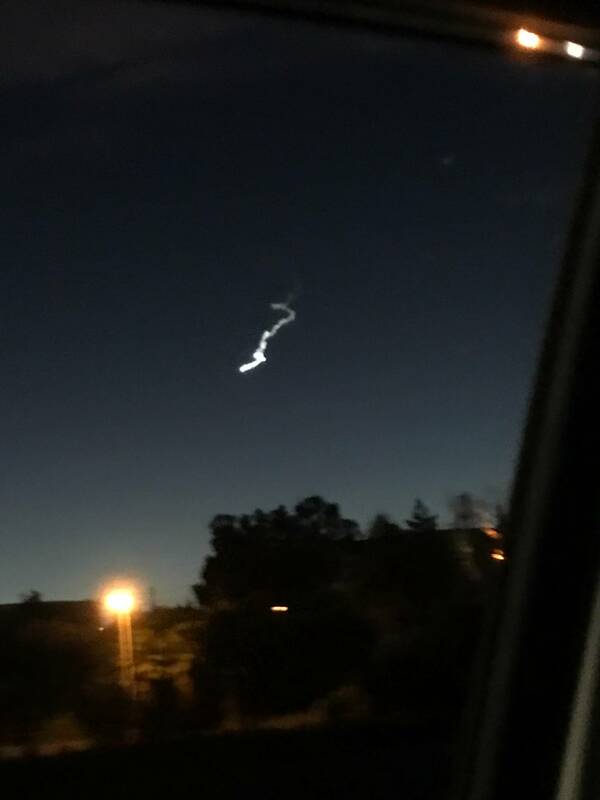 I couldn’t see a thing in the clear blue skys from SoCal, was looking NW where they usually launch. Weird, don’t know if I missed it, was looking in the wrong place, or if it’s just not visible during the day from here. 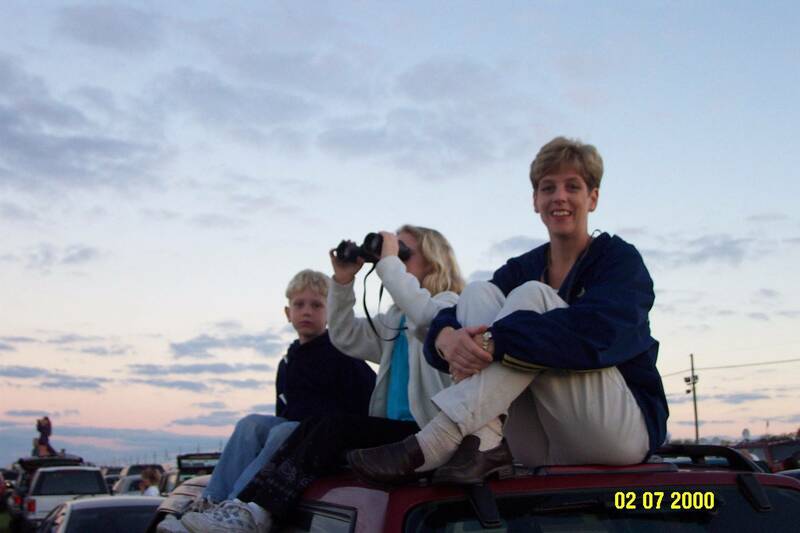 I could see it..,was not impressive a little smoke trail like looking at a airplane. 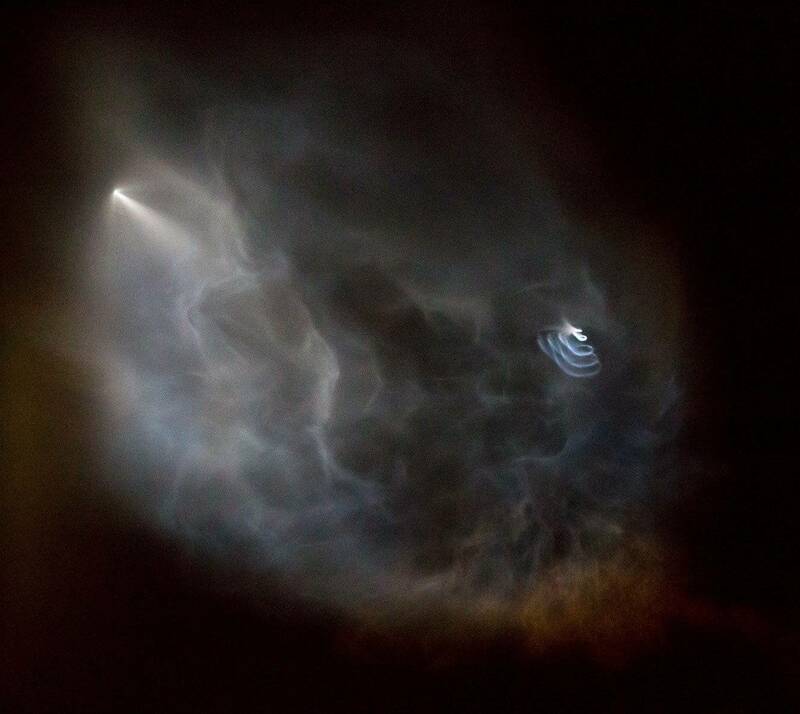 Could only see it towards the beginning of launch. Not as impressive as an Space-X launch, but love the technology involved. Thanks to Pinballlew Pinside space updates! The technology is great no doubt, but how about the technology of the payload itself? Good luck finding out much about that Hopefully it will only be used against “bad guys”....not us. Man that was beautiful and makes ya proud to be an American. Last minute (pun intended). 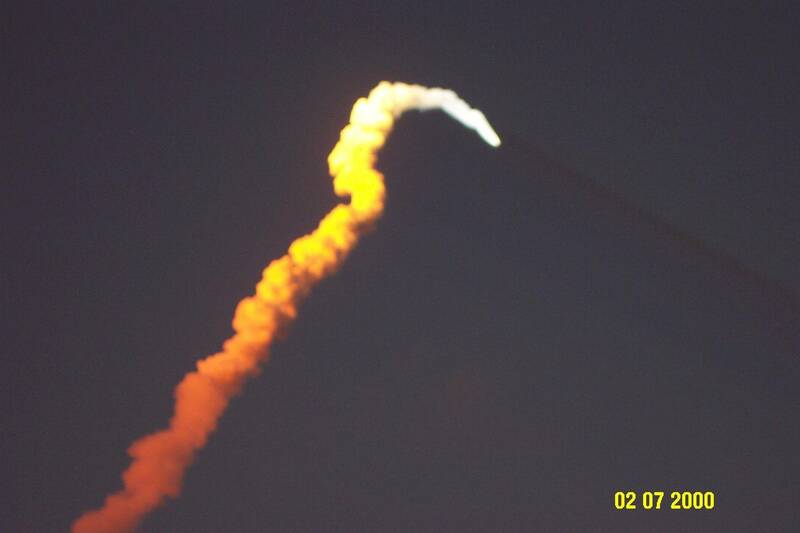 Minuteman missile launched TONIGHT! A developmental test launch for an unarmed Minuteman III intercontinental ballistic missile is scheduled out of Vandenberg Air Force Base as soon as Tuesday. The Air Force Global Strike Command will conduct the test launch. The window is open from 11:01 p.m. Tuesday through 5:01 a.m. Wednesday. According to the 30th Space Wing Public Affairs, developmental testing provides important data to Air Force Global Strike Command. The tests are not related to any real-world events. A Minuteman III missile launched Tuesday night from Vandenberg Air Force Base. 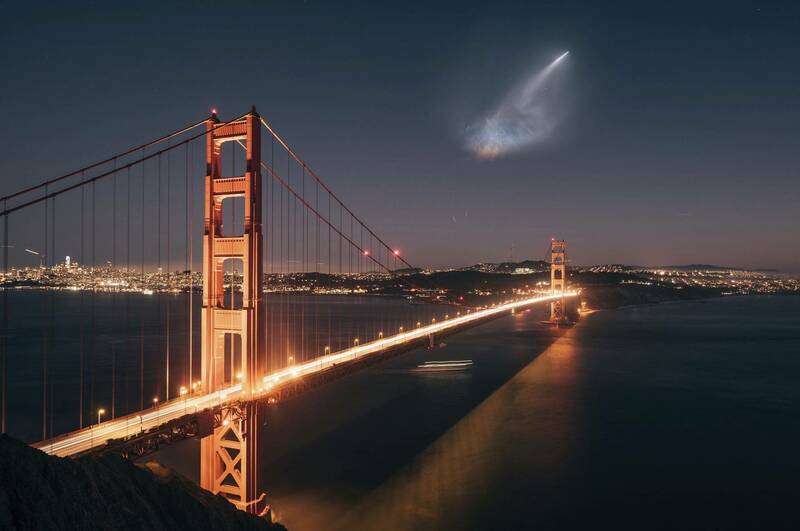 Air Force Global Strike Command tells KSBY the unarmed intercontinental ballistic missile lifted off at 11:01 p.m., which was the start of the six-hour launch window. A base spokesperson says these test launches provide instrumental data for future projects. The base says the tests, which occur about four times a year, are not related to any real-world events. 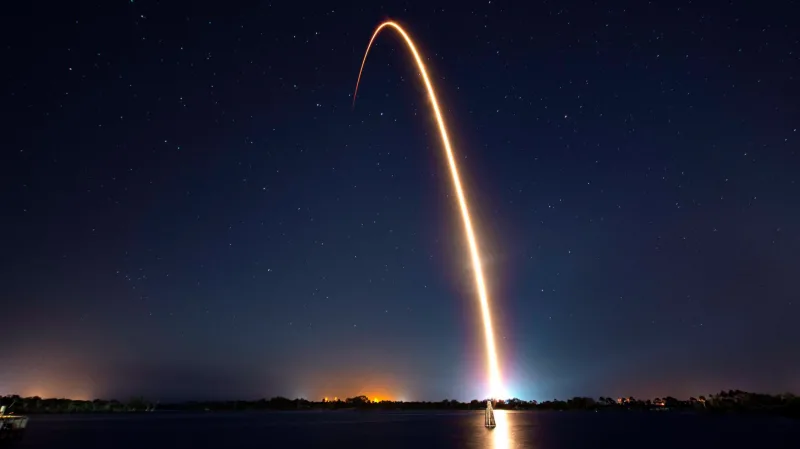 Watched the Space X last night from my Yard in Orlando. Stunning Orange Ball! A bit different.....Anyone know if its a different fuel or mix? What you saw was the actual flame of engine due to night launch. We get the white smoke on day launches. Its still there, just harder to see the white smoke. hmm...Not to give you a hard time....Normally, We see more yellow in night launches....Nozzle?....Could be my eyes...the pic I posted isnt what I saw...Im 60 miles away. ll check further, my Nephew heads up Propulsion for Blue Horizon. Darn it Art, made me go look it up. First, that pic is a press photo time lapse. Rocket was a Falcon nine which uses modern mix of liquid oxygen (LOX) and rocket-grade kerosene (RP-1) propellants. 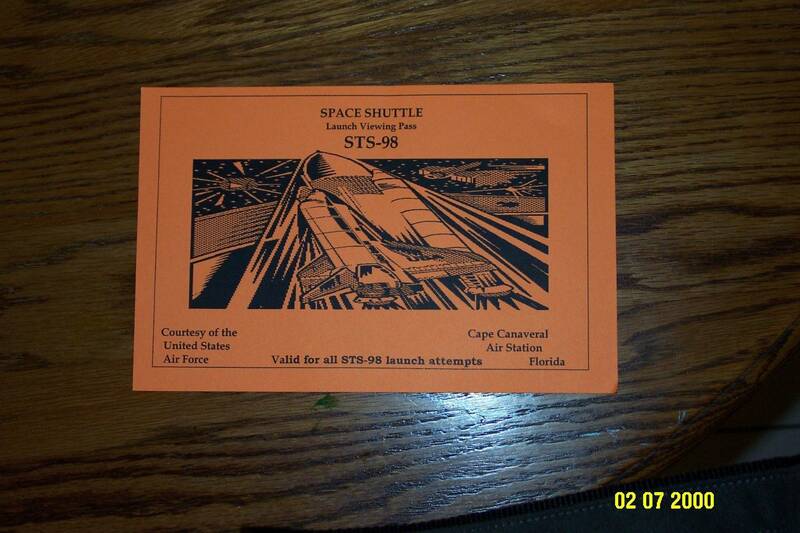 It was named after the Millennium Falcon and the nine engines of the rocket's first stage. Same propellant for the heavy lift Titan and SAL launches. Your angle and distance could have a parabola effect of the earth's curvature. Although it doesn't seem like much, but the distance from launch can determine the hues and colors. Thus being a little further if rocket was going away from you, it could be more red. Yes, i was referring to nozzle burn. 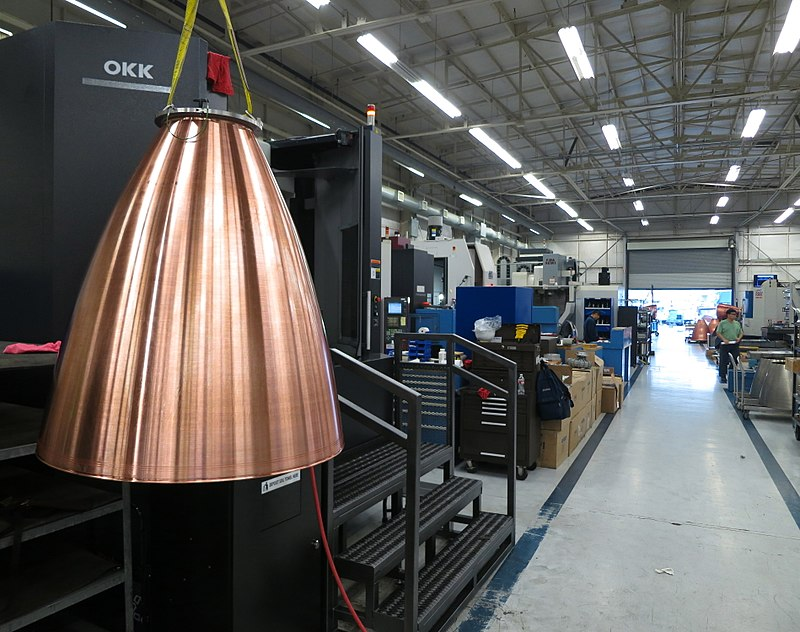 Maybe they used this Merlin Nozzle, which was developed for Space X. The Flame Ball was also abit different in shape. No biggie, but after hundreds of launches, it sure is interesting every time! I watched the replay, just beautiful. 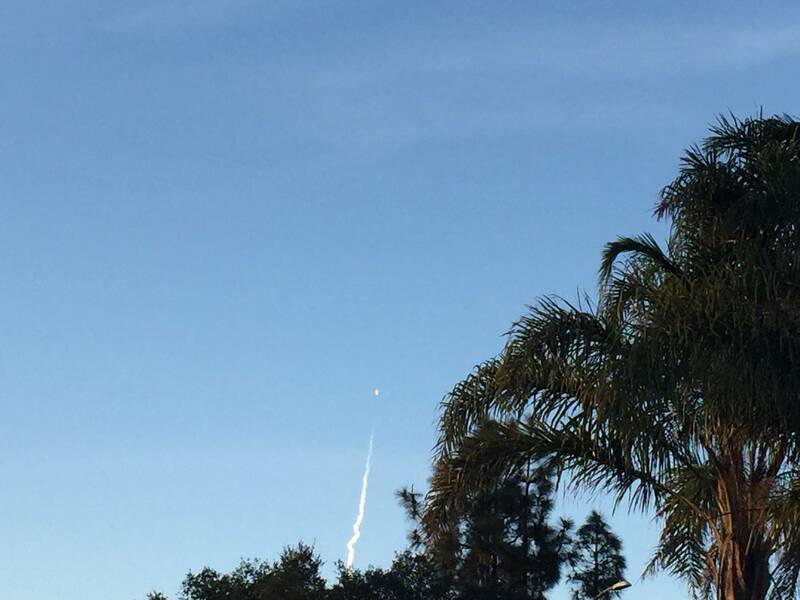 Hope the boosters made it back ok. Launches never get old. You know, it wasn't work, I enjoy learning everyday. I would love to display that Creach, I just know it would sit in the Blueprint cabinet with the others for a long time. This Rocket is a Beast. Just shy of the strength of the Saturn-V from Apollo, it also stands 23 stories high! The 1st Stage Rocket was recovered successfully , and this was the third launch for it. That stat alone is Historic! This Launch sent the First Rover from Israel to the Moon! This is a great page and article. Includes great video. 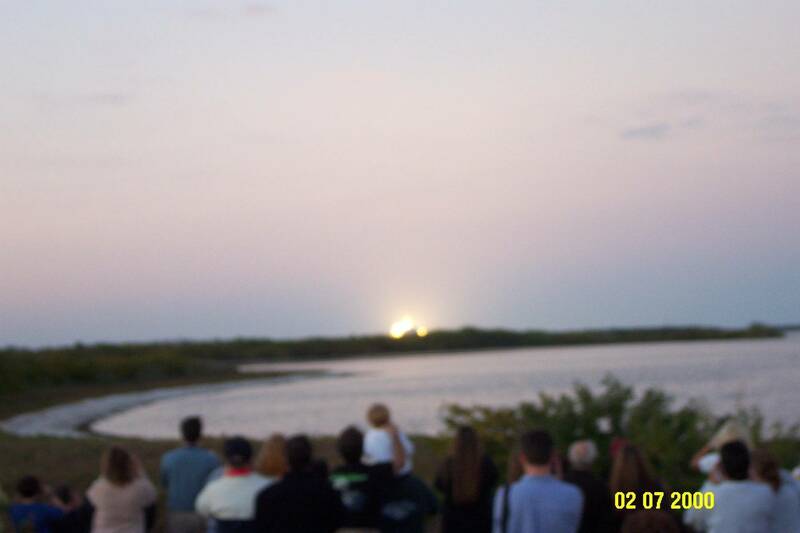 Someone posted the launch on Facebook viewed from across the water, the audio was killer. Wish I knew how to repost it here. Crew Demo Launch goes live in 90 min. This is an unmanned test flight on the Dragon rocket in preparation to go to the Space station. Dragon made a great launch and the capsule will meet up with the space station tomorrow. It will be released next Thursday and recovery will be in the Atlantic off of Florida. I worked supporting the launch in a very minor role last night here in Florida. It sure was exciting. The primary mission seems to be going well from all the information released online. The landing was amazing and the seas were a little rough. Getting the first stage back is quite a good thing for a test mission like this because it will allow a full post flight inspection. The main purpose of landing the first stage is to save money by reusing them, but the benefits to verifying the design extend well beyond that primary reason. It was also good to see Ripley make it to orbit on a nice smooth ride. The first stage recovery is just an amazing feat of science and mankind! 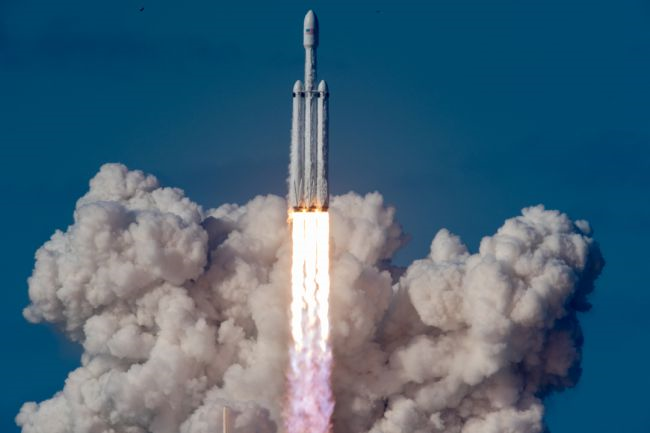 Go SpaceX!! The ability to assess if there were any materials/mechanical flaws in the rocket design post launch is so valuable in ensuring safety for future missions. What a great design! Thanks for posting. They snuck this launch in... noticed the aftermath smoke while driving. 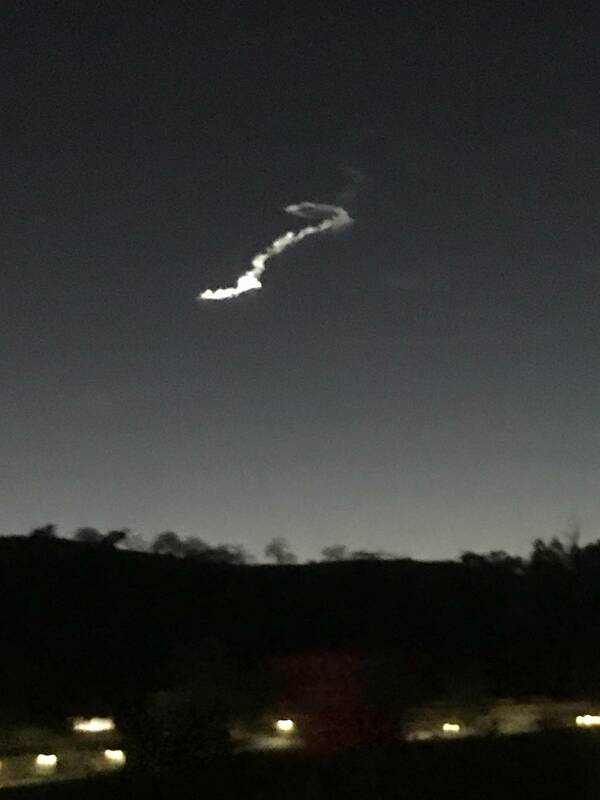 UPDATE (10:40 a.m.) – Vandenberg Air Force Base officials confirm a launch was completed Monday morning. The base previously confirmed a missile test was scheduled at the base. 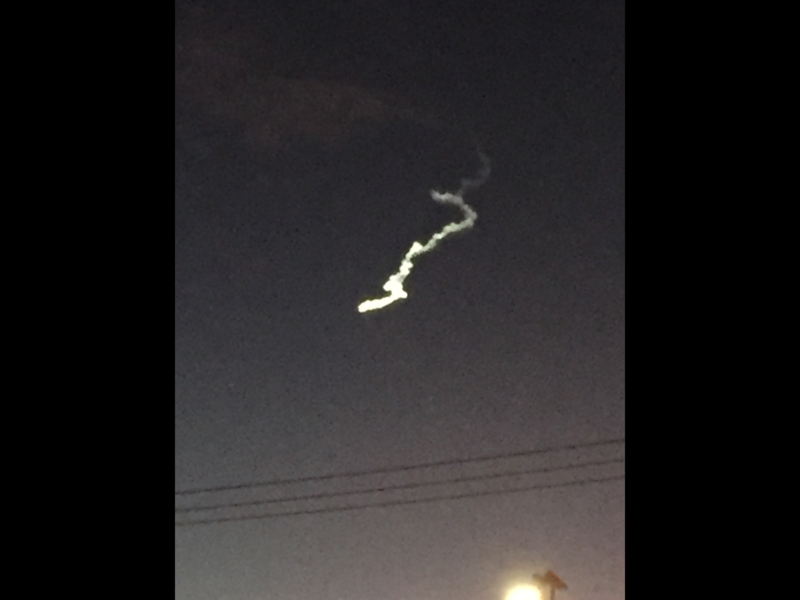 What appeared to be two missiles were seen in the sky just after 10:30 a.m. 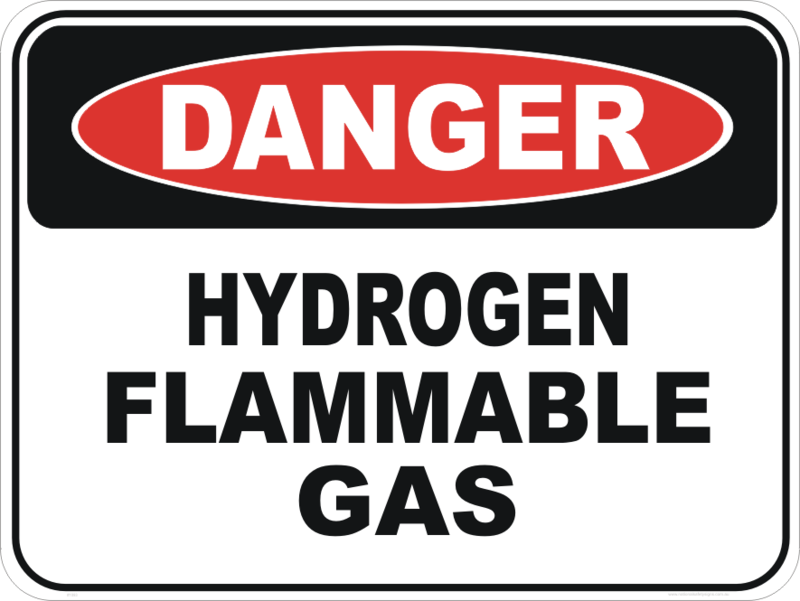 The base hasn’t specified what was launched but says more information will be released later Monday. UPDATE (8 a.m.) – Vandenberg Air Force Base officials say a missile is scheduled to launch from the base Monday. “We can confirm that a scheduled missile test will occur at Vanderberg Air Force Base this morning,” base officials said in a statement. The base previously released a statement saying the missile launch had already occurred, but later clarified that it had not happened yet. No other details about the launch have been released, and base officials didn’t have an exact time frame for the launch. Base officials say the Department of Defense is expected to share more information about the test launch later in the day. 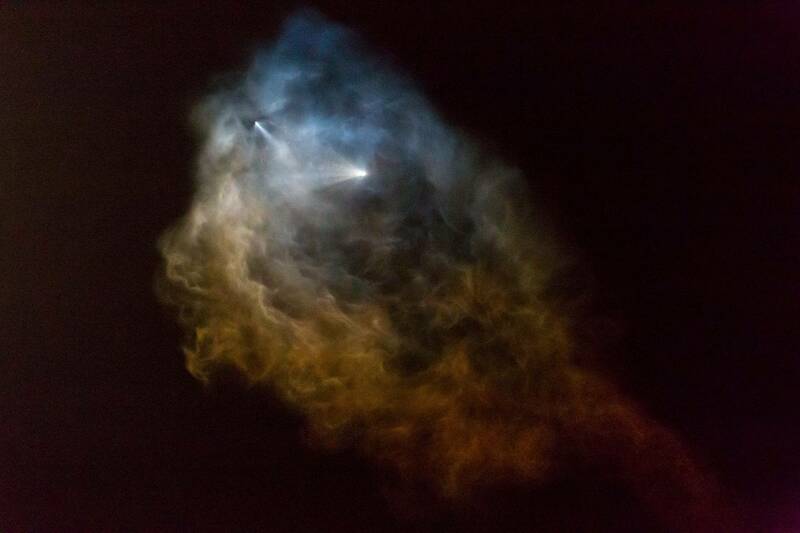 ORIGINAL STORY (7:37 a.m.) – A rocket launch is reportedly scheduled Monday out of Vandenberg Air Force Base. The base hasn’t released any details on the planned launch, however, Amtrak says at least one train may be delayed because of it. UPDATE (3:30 p.m.) – For the first time, Vandenberg Air Force Base has simultaneously launched two Ground-Based Interceptor missiles during a weapons test. 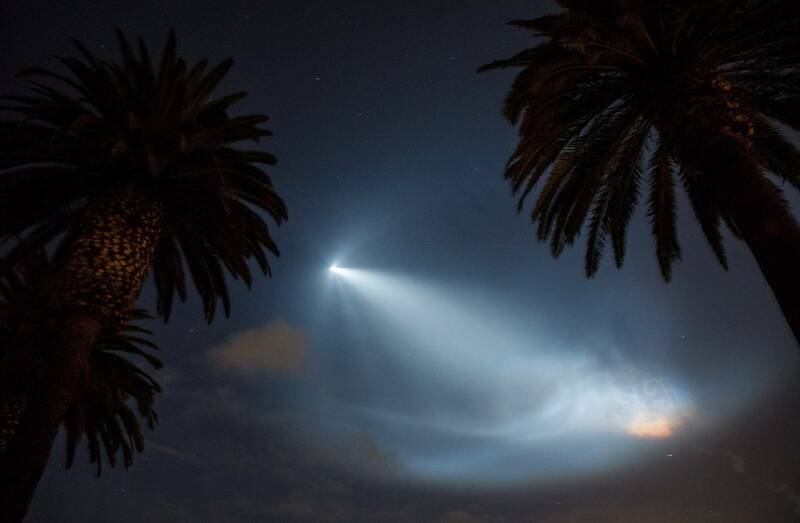 The two missiles could be seen in the sky over the Central Coast just after 10:30 a.m. Tuesday. The job of the two missiles was to destroy a “threat-representative” Intercontinental Ballistic Missile (ICBM) launched from the Marshall Islands more than 4,000 miles away. The U.S. Missile Defense Agency says the test was a success. One of the interceptors struck and destroyed the ICBM, while the second interceptor analyzed the debris and selected the next “most lethal object” and destroyed it. This is nice to know because God help us if it's ever needed. I watched from my front yard. Could even see the two boosters flying back to land and ran back inside to see them touch down. I have to admit, i do to. Just an amazing feat of engineering, will power, and the human race moving forward. Completely missed it last night damnit, was in a meeting at the time but was thrilled to hear of the success! They need to schedule these things on MY time.